If you’re porting in from Hotlink, it’ll be auto-activated. You’ll receive an SMS on your existing Hotlink SIM card to start using the ookyo service. you’ll start using your service on a temporary number while we process your port-in request. You'll receive a porting in confirmation SMS on your old SIM and you need to reply to it, so make sure your old SIM is still in a working mobile device for this to happen. Upon successful port-in, you'll notice that there'll be no network service on your old SIM. 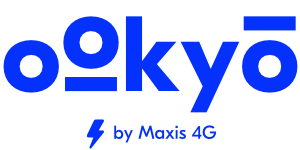 This means we have magically converted your new ookyo SIM from the temporary number to your existing number. If you bought any passes or topped-up your wallets while using the temporary number, it'll still be there!